Cumano, a coffe table to hang up! In the year of the centenary of the birth of Achille Castiglioni (February 16, 1918) we decided to dedicate a place to him and his project once a month in our Gazetta. Like her daughter Giovanna, at the wonderful Fondazione Achille Castiglioni of Piazza Castello in Milan, she will turn off the candles every day to celebrate her father, we will celebrate by talking about his creations and his timeless ideas, the effect of an exceptional personality. “Objects must keep company”, said good Achille. And this makes us well under-stand his idea of design. Good design, in addition to being functional and aesthetically appealing, must be easy to use, comfortable. This means that objects acquire a familiarity, one more reason to love them. We want to start talking about Cumano. 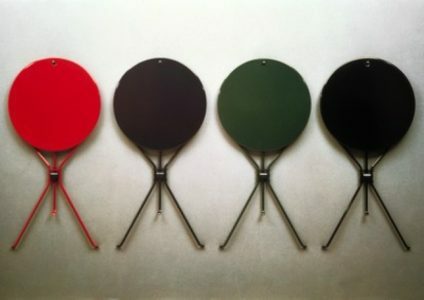 It is the example of how reinterpreting, with a certain sensitivity, a common object, we can reach the added value! Starting from the classic small outdoor coffee table created at the end of the nineteenth century, Cumano is one of Castiglioni’s most exemplary redesign operations dating back to 1977. 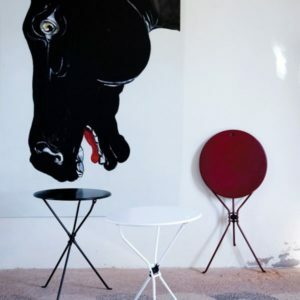 The table top is a sheet painted with fire resistant to scratches and wear and is sup-ported by three legs in steel rod. 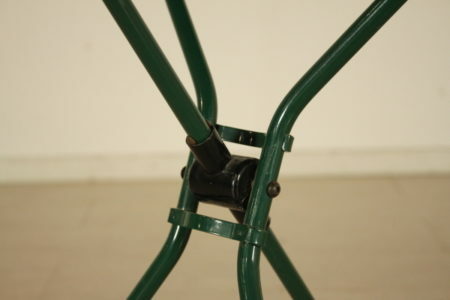 A rotating joint, made of self-lubricating material to protect the metal paint, moves the third leg allowing the object to be stored. In a practical and comfortable way, the table closes and becomes a space-saving solution. After being closed, flattening it, the table can be stored away. And more, with the addition of a simple hole on the top (Castiglioni often provided a hole for his objects to give them a second chance to be used!) accompanied by a special hook to be fixed to the wall, adds to Cumano the idea of “Hanging” it to the simple idea of “storing it” inherent in the initial project, thus avoiding any type of encumbrance. The beauty and resistance of the chosen materials, combined with the availability in many colors, make it suitable for any room in the house, from the living room, to the kitchen or the bedroom. The lines of the table, the thin feet that cross to support the top, transform this functional object into a piece of furniture that gives lightness to the environments. It is a true contemporary work of art, elegant and captivating! 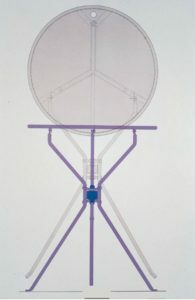 Cumano, in the Compasso d’Oro selection in 1981, is 70 cm tall and the diameter of the top is 55 cm. 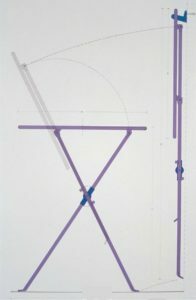 It is produced by Zanotta and is exhibited in the largest design museums.